Save 6% with this coupon. Enter code VIK2XG5I at checkout. Note: This effective Black Mask is NOT recommended for sensitive facial skin. Please try to apply a thin and continuous mask layer on nose area/T-zone area before applying to full face. For better peeling off result, do NOT apply thick layer. 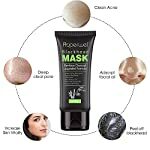 MAKE SKIN HEALTH & BRIGHT: Activated charcoal blackhead peel-off mask will remove blackheads, whiteheads, acne and keep your face smoother and tender. 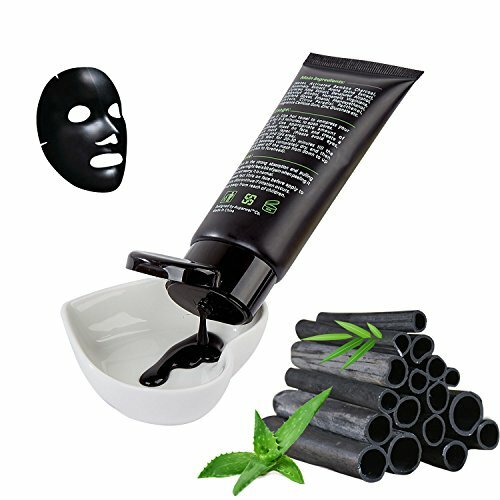 TIGHTEN YOUR PORES: Unique strong absorption and deep cleaning black mask could remove stubborn stain or oil spots on face, will make your pores smaller after single use. 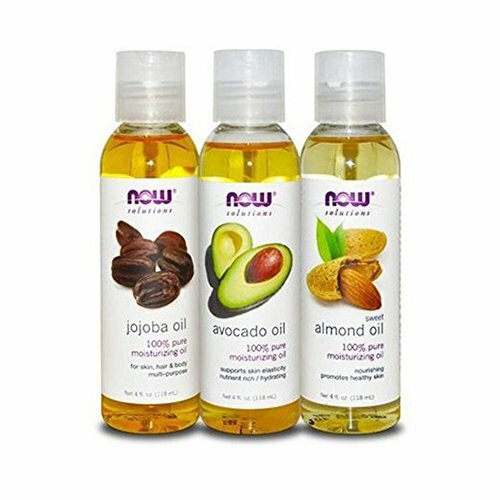 Categories: Skin Care, Acids and Peels, Beauty and Personal Care, Face, Treatments and Masks. Note: This effective Black Mask is NOT advisable for sensitive facial skin! 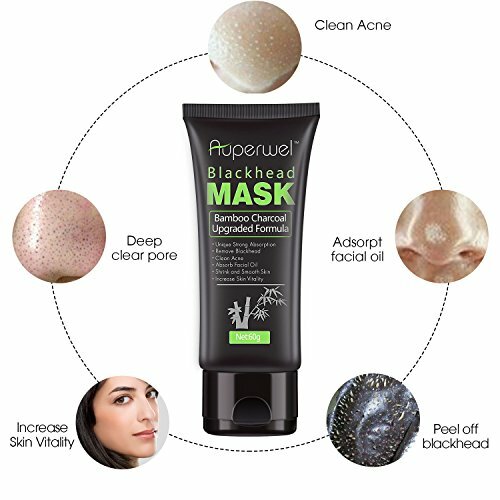 We suggest you to apply black mask on nose area/T-zone area before applying to face, and then apply black mask on small area before applying to full face. 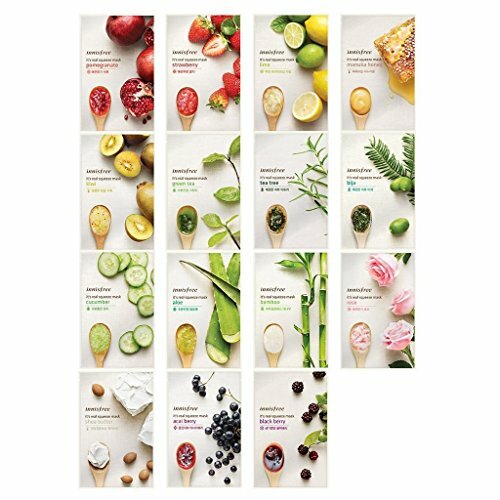 Have you ever tried many face masks to take away blackhead, whitehead, clean acne, but they do not work? 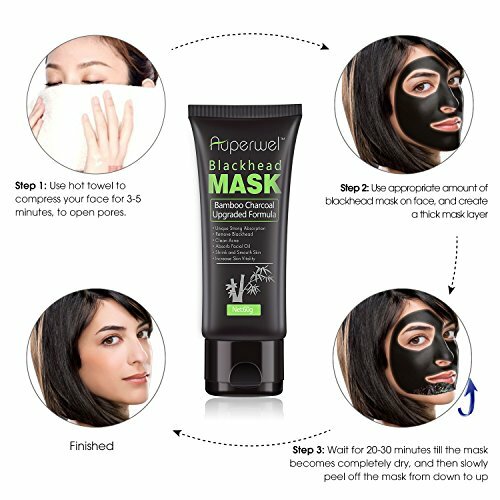 It’s time to use Auperwel black mask . 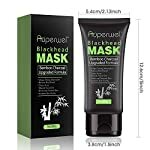 Auperwel Blackhead Mask made from natural ingredient, non chemical & non toxin. 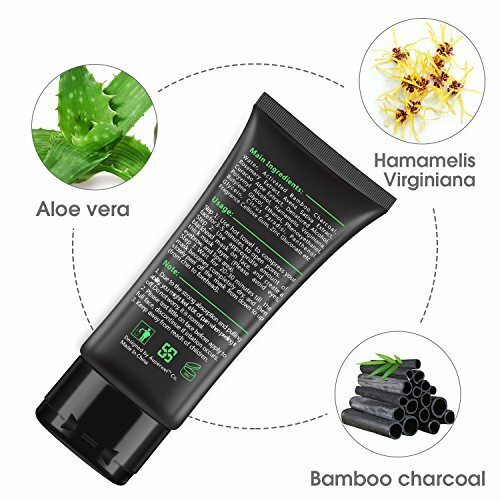 It works effectively on oily skin, blackhead, whitehead, clean acne, will make your face turn out to be smooth and tender. Step 1: Use hot towel to compress your face for 3-5 minutes, to open pores. Step 2: Use brush to apply appropriate amount on nose area (Please avoid eyes, eyebrow, and lips area). Step 3: Wait for 30-35 minutes till the mask becomes completely dry, and then slowly peel off the mask from down to up (from chin to forehead). Step 4: Wash face by clean water. Step 5: Apply balck mask on small face area before apply to full face, repeat the above steps. 1. As a result of the strong absorption and pulling ability, you might feel a bit of pain when peeling it off. Do not worry, it is normal. 2. Keep away from reach of children. 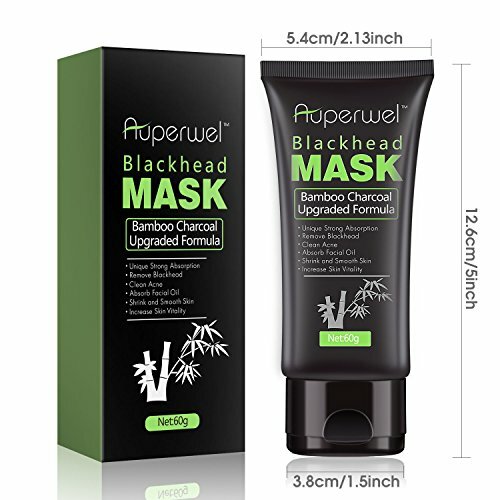 The BLACKHEAD MASK is designed by AuperwelTM Co. You probably have any questions, please feel free to contact with Auperwel Seller Service. We will be able to try our best to make you 100% satisfied. Thank you! Note: This effective Black Mask is NOT advisable for sensitive facial skin. Please try to apply a thin and continuous mask layer on nose area/T-zone area before applying to full face. For better peeling off result, do NOT apply thick layer. MAKE SKIN HEALTH & BRIGHT: Activated charcoal blackhead peel-off mask will remove blackheads, whiteheads, acne and keep your face smoother and tender. 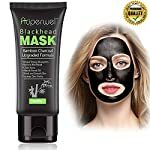 SUITABLE FOR ALL SKIN TYPES: The Black face mask effectively clean the blackheads and oil spots on the face and suitable for women and men use. Blackhead mask helps exfoliate away dulling skin cells for softness and clarity. 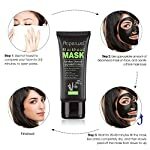 For Best Results: Black peel off mask could cleanse your skin, please use hot towel OR steam the face to open pores before the use of the mask. 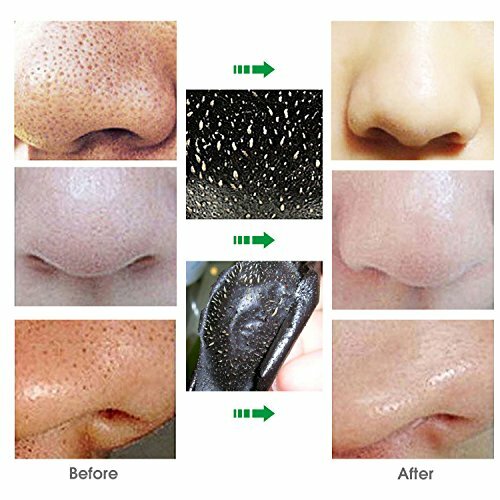 Please peel off mask when it complete dry.If it didn’t dry, it would possibly not remove blackhead.